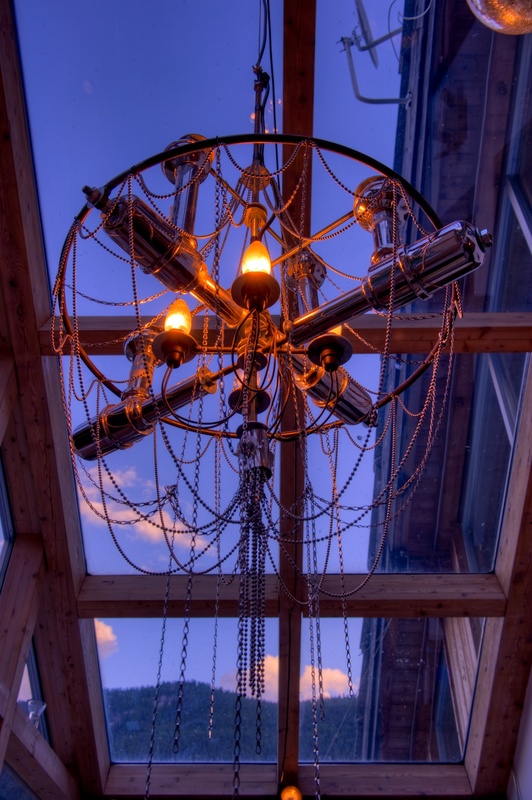 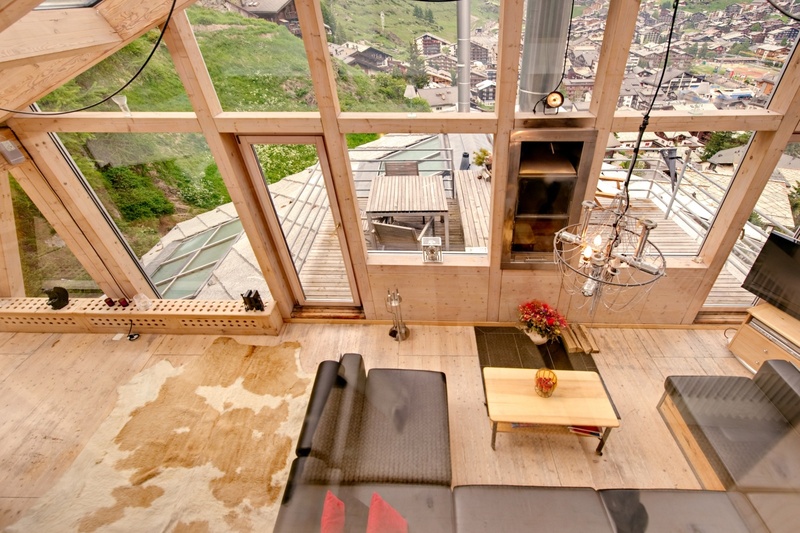 The Heinz Julen Penthouse is an artistically constructed penthouse created by architect Heinz Julen, utilizing a loft design, and containing unique features such as a fire place located in middle of the living room window, as well as a custom made chandelier and handcrafted furniture. 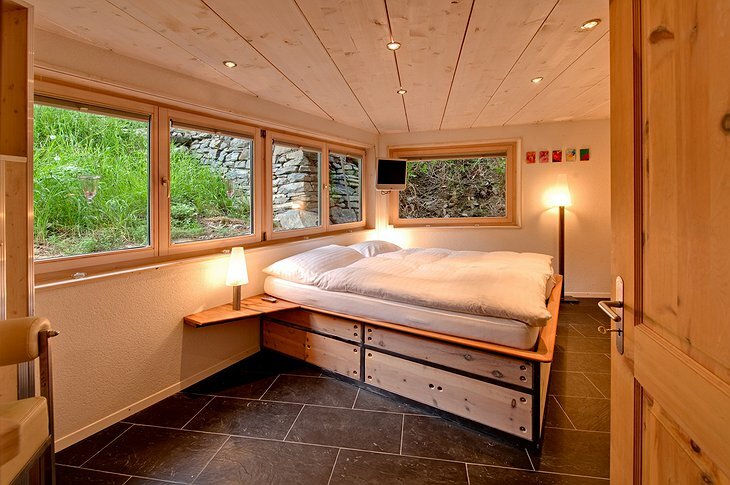 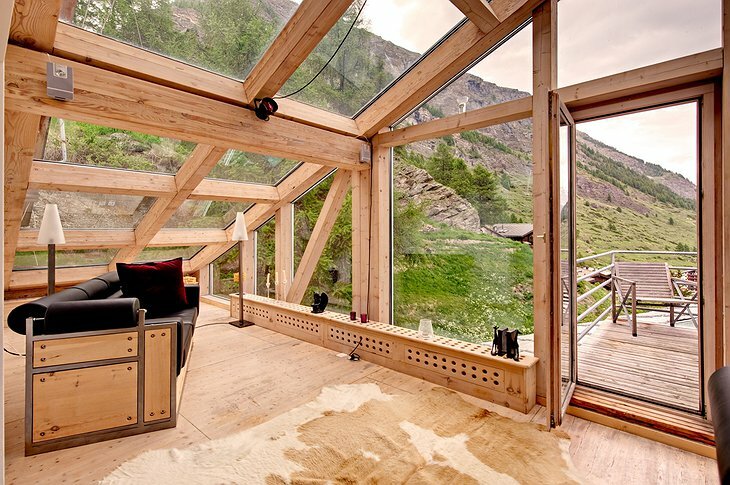 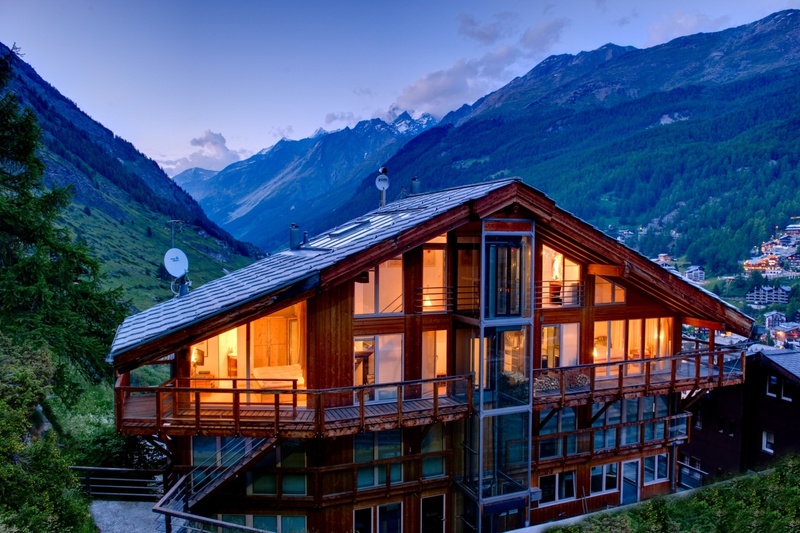 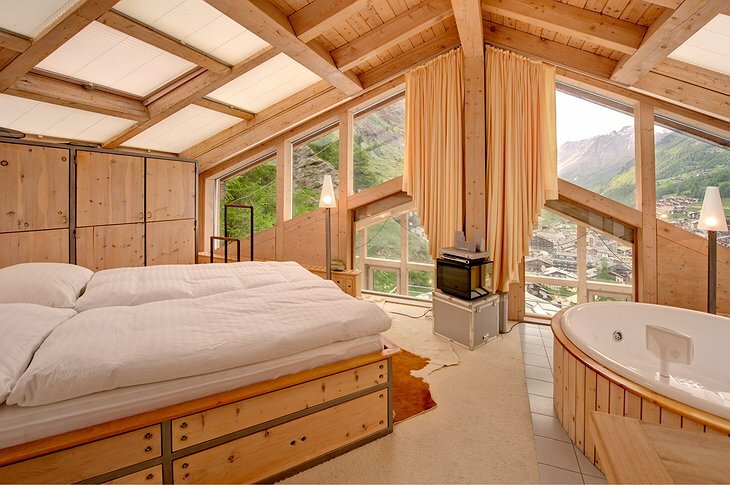 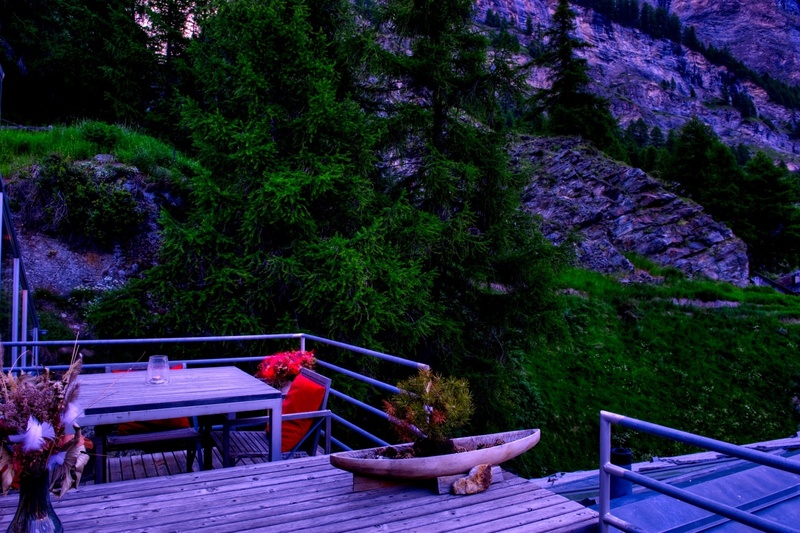 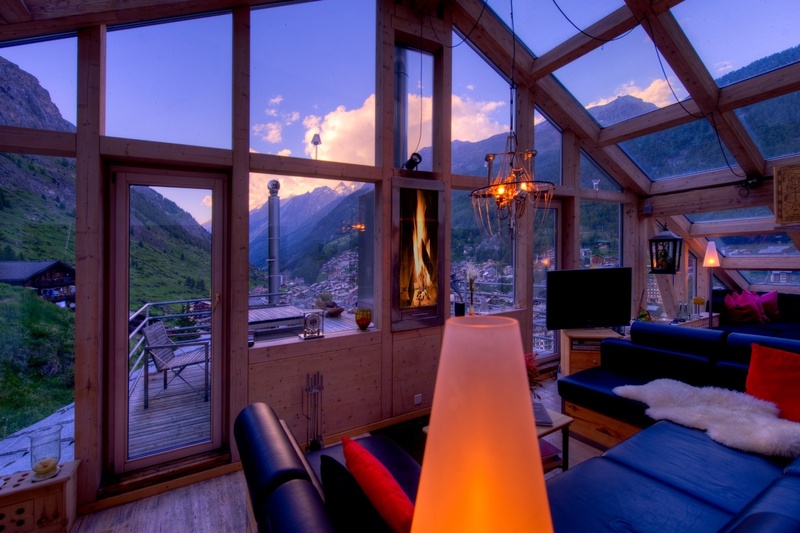 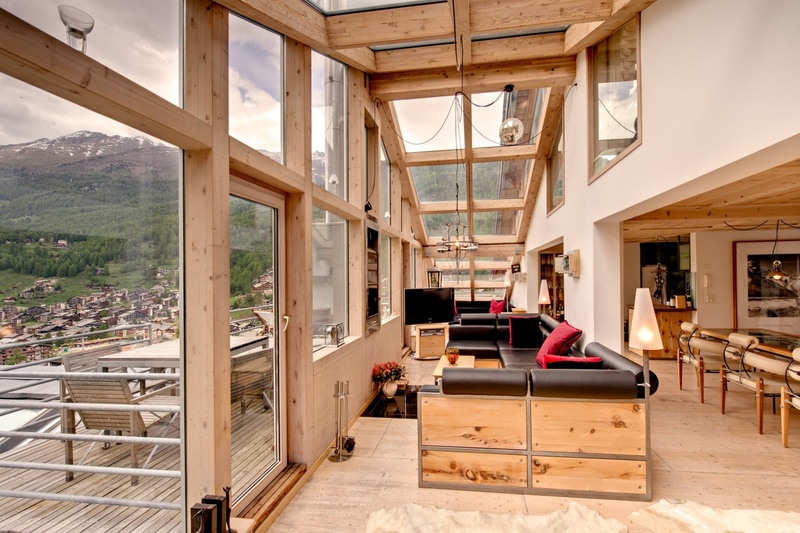 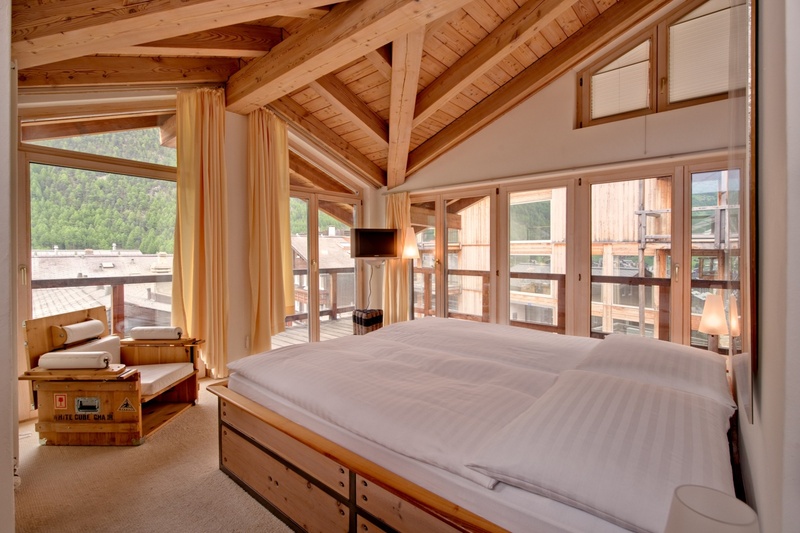 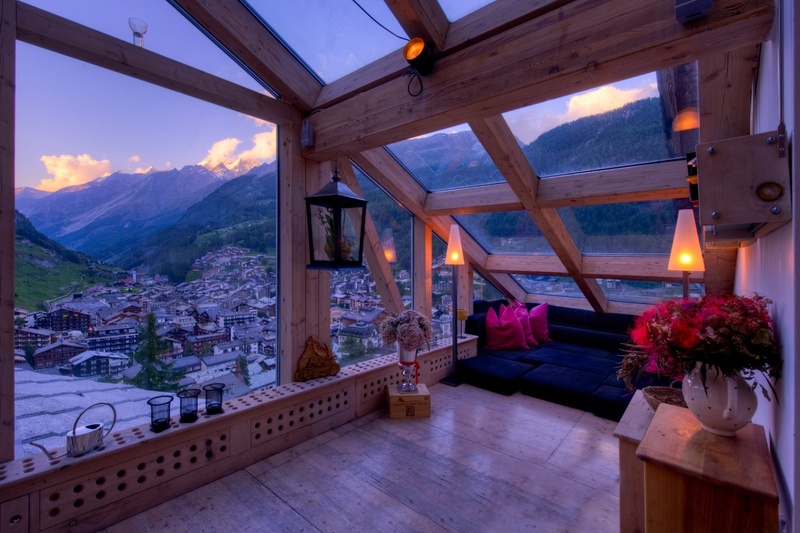 Above guests is a glass roof, along with a chalet that gives you a a bird's eye view of the surrounding village as well as the Mischabel mountains. 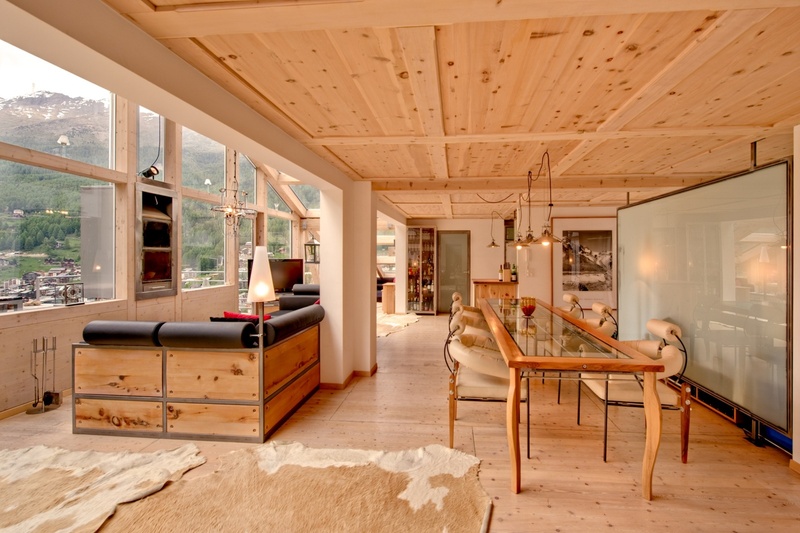 There are large kitchens and dining rooms in the penthouse, as well as two terraces for scenic viewing. 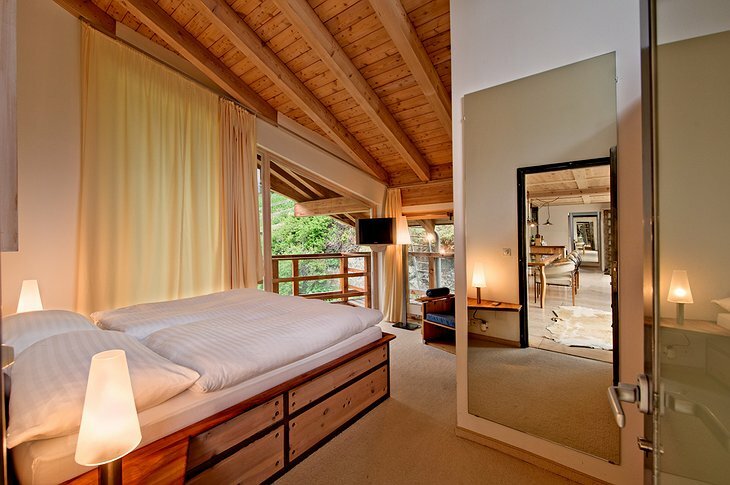 The two bedrooms provide high ceilings, a balcony, and private bathroom. The top floor has a master bedroom with free-standing round Jacuzzi bath and sloping glass ceilings. 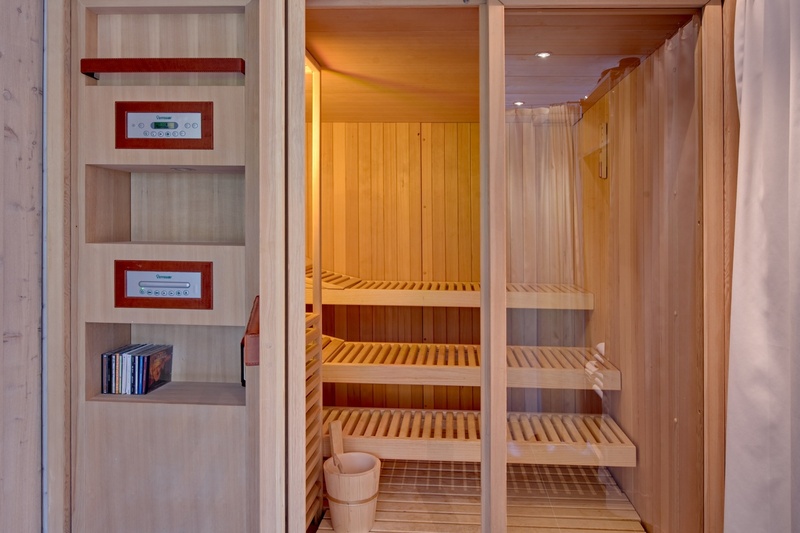 There is also a ground penthouse with a massage shower, a sauna and exercise room. All three floors are open to you and accessible by private elevator. 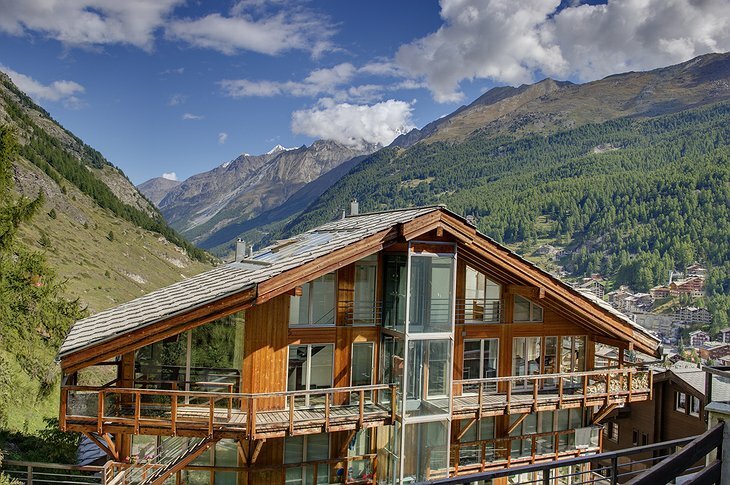 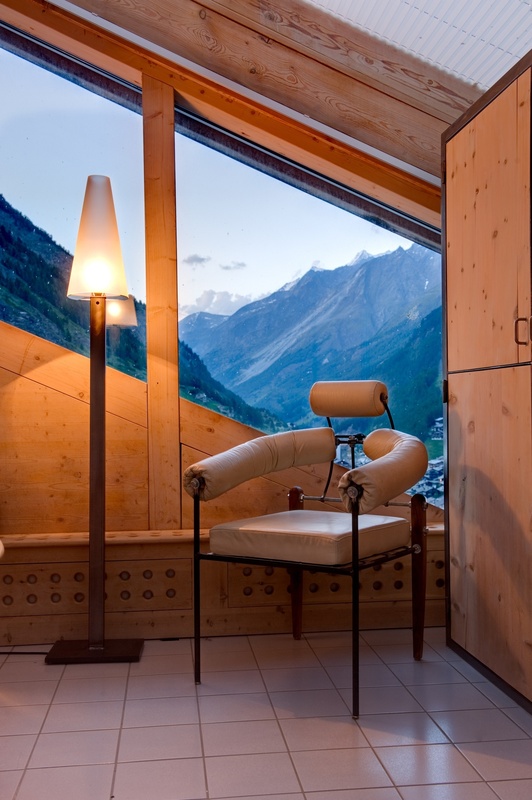 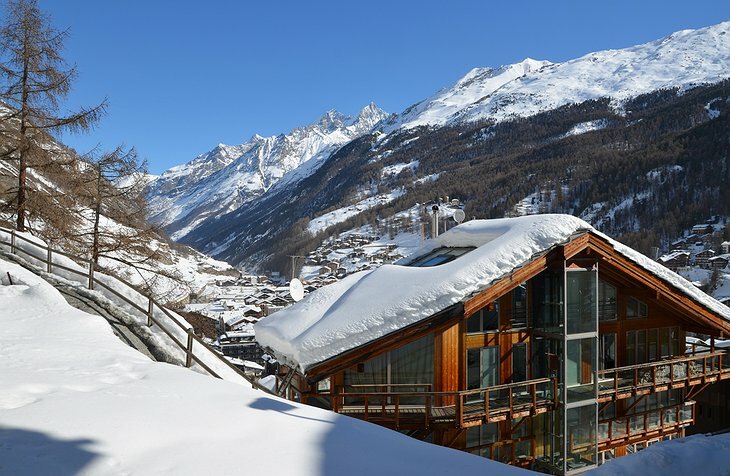 Of course, the primary reason for booking a trip is to enjoy the best skiing in Switzerland courtesy of the Zermatt Lodge.